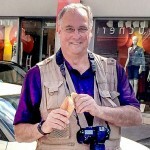 Please welcome Mr. B for his first guest post on Bunkycooks. I asked him to write about our experiences cooking with the PolyScience Sous Vide Professional Chef Series since he has been the scientist behind all the madness preparing and cooking foods by this method in our kitchen. He is the analytic and mathematician in our family, so who better to deal with the scientific aspects of cooking sous-vide than Mr. B?! 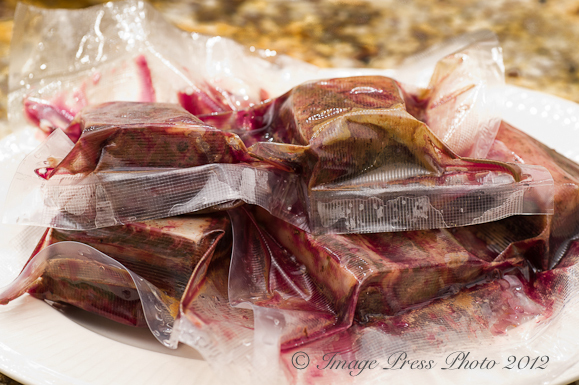 Sous-vide (cooking foods in a vacuum sealed bag at low temperatures in water) has become all the rage. Most restaurant chefs and now many home cooks are discovering the benefits of this slow cook method. Chef Anthony Lamas of Seviche, A Latin Restaurant, located in Louisville, Kentucky, recently said many people are using sous-vide just because it is the cool new kitchen tool. He said that sous-vide has its place and it should be selectively used in situations where it will improve the food. With that in mind, I decided to experiment with sous-vide. I am a bit of an analytic so I knew I would come up with something that would appeal to engineers our readers and provide some very useful guidance. 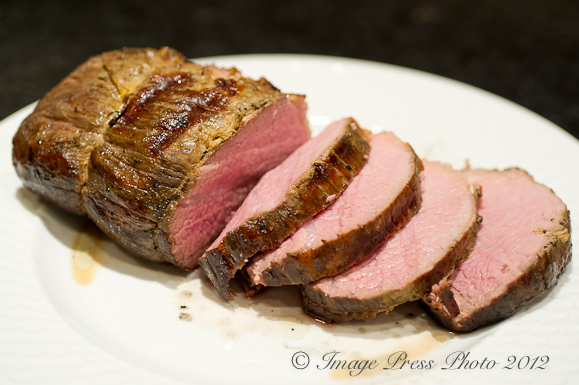 One of the biggest benefits of sous-vide is that it allows you to slowly cook food to a precise temperature. Its not over-cooked or under-cooked. Cooking times are less precise as the food is brought to the exact temperature using the water circulator and then held at that temperature for as long as you leave it in the water bath. 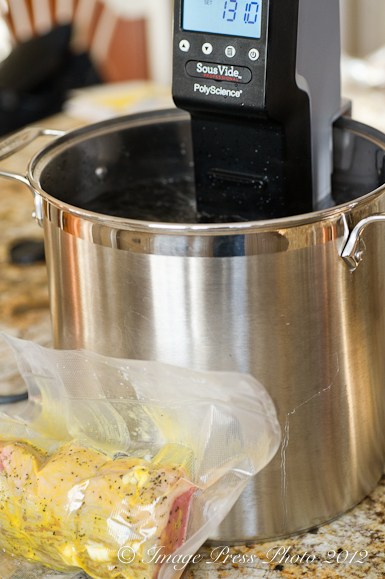 Sous-vide allows you to precisely achieve and hold the specified temperature. It is also easier to obtain very specific temperatures even up to 1/10 of one degree. Can you imagine trying to check the core temperature of a piece of flounder? The other advantage is the longer you slow cook certain meats, the more tender they will become as the cooking time breaks down the collagens (also known as the connective tissue) in the meat. After all, if 24 hour short ribs are good, 72 hour short ribs must be better, right? Well, that is what I wanted to find out. I decided to test various cooking times to determine if there is a point where additional cooking no longer provides a more tender meat and if so, what is that cooking time. The verdict: Despite cooking the ribs 24, 48 or even 72 hours, the inside of the meat had a beautiful red center because of the sous-vide method. However, there were some differences. 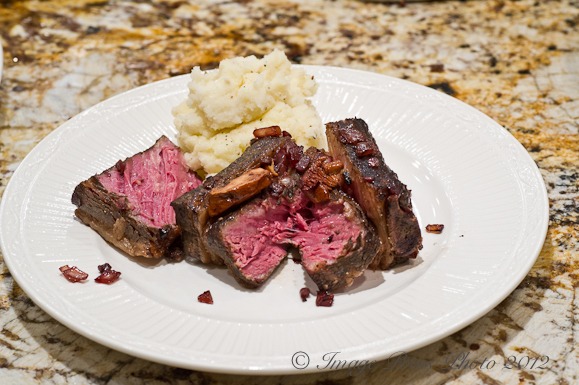 There is no question that cooking short ribs 24 hours in sous-vide provided a tender and perfectly cooked meat. At 48 hours the ribs continued to become more tender, however, we noticed that they seemed a little drier. 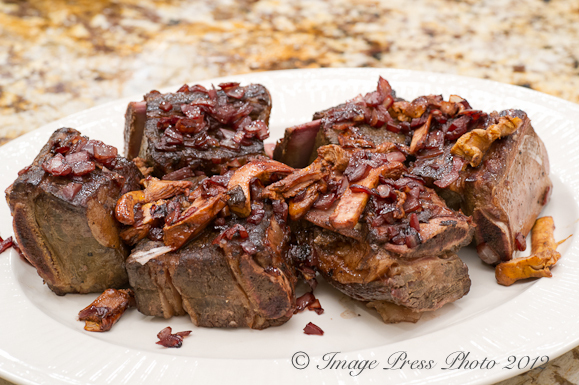 At 72 hours the short ribs were definitely on the dry side. Yes, they were very tender, but we found that they required a sauce to supplement what we perceived to be a loss of moisture. This seemed odd since the meat is cooked in a sealed bag. Why would the meat become drier if the moisture could not escape the bag? Okay, this really got me excited had me intrigued. A mystery to be solved. So, with pencil and graph paper in hand, I headed to the internet to find the clues. All of the short ribs were cooked to this temperature but the longer they cooked, the drier the meat became. 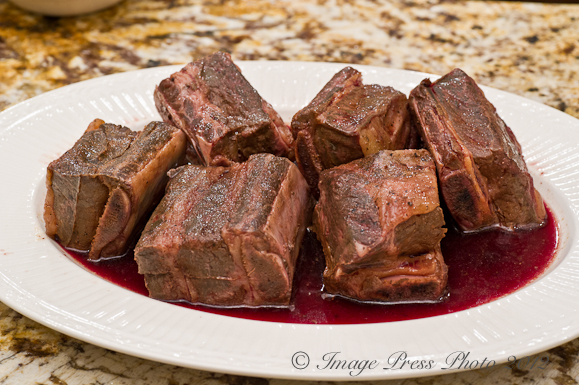 Shown above, 24 hour sous-vide short ribs.